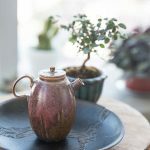 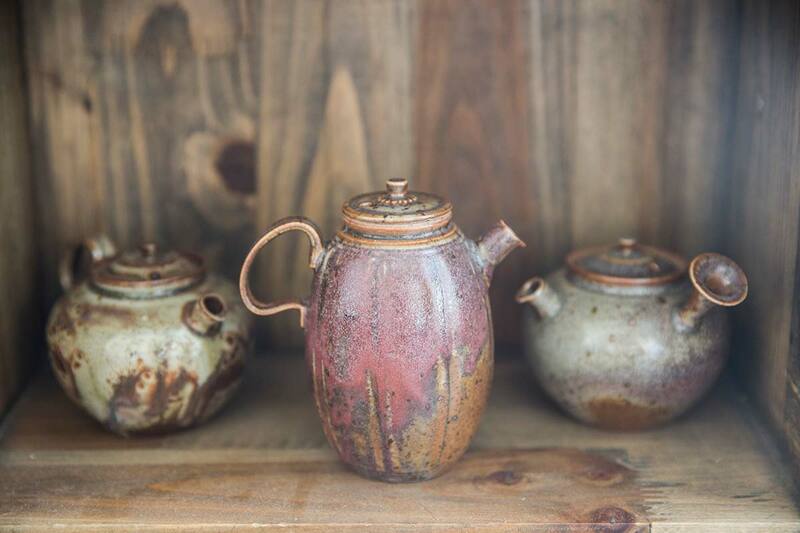 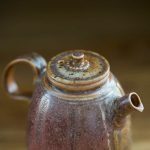 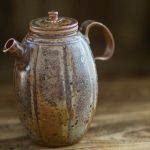 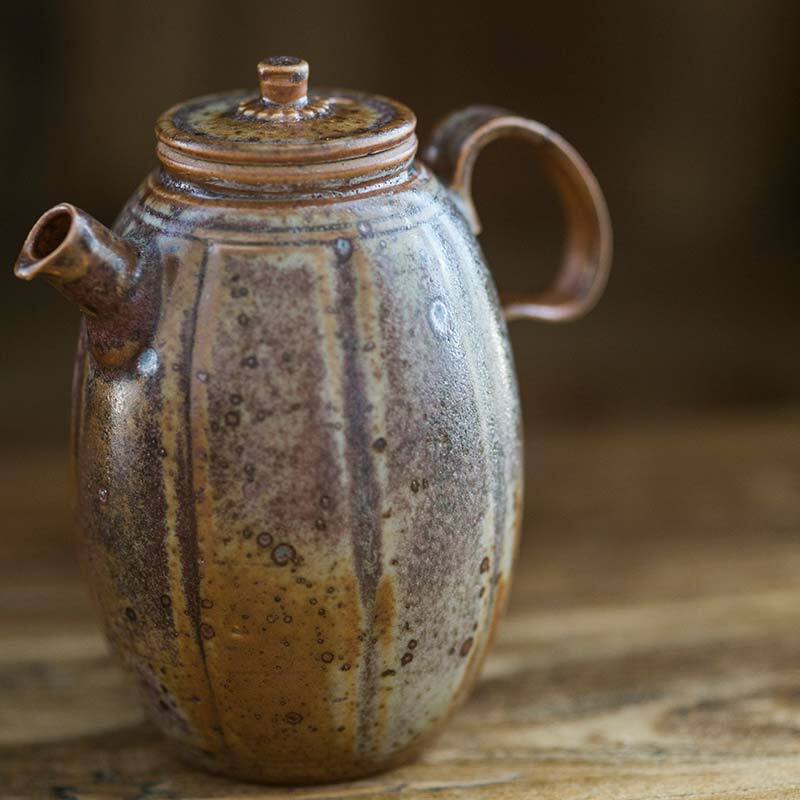 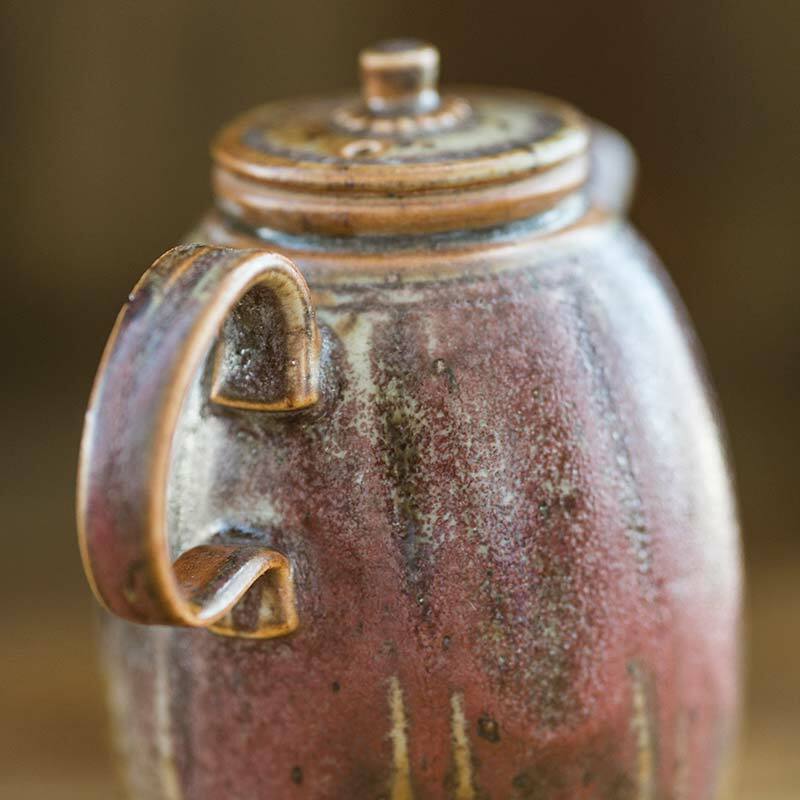 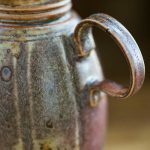 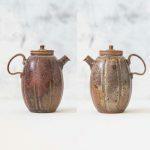 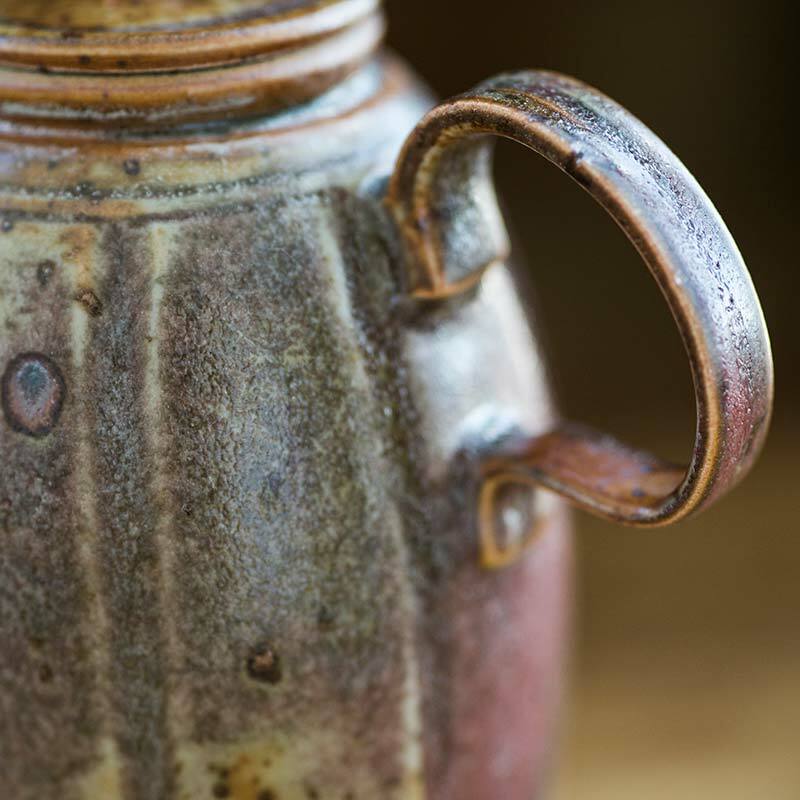 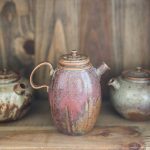 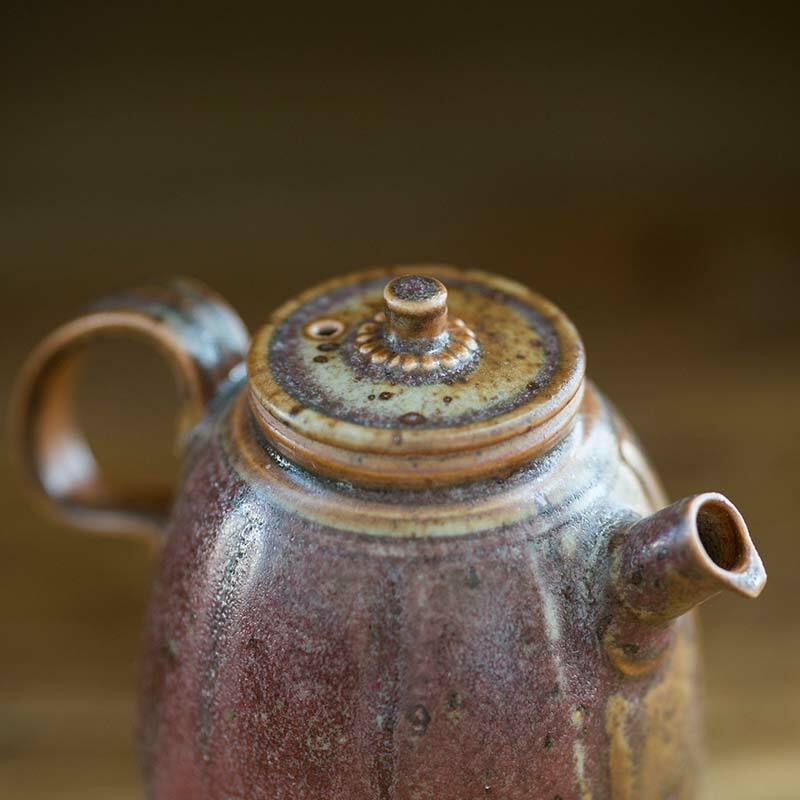 Made by a small studio in Jingdezhen, this teapot has an unglazed, rough clay interior and a predominantly purple and brown high fired glaze on the outside. 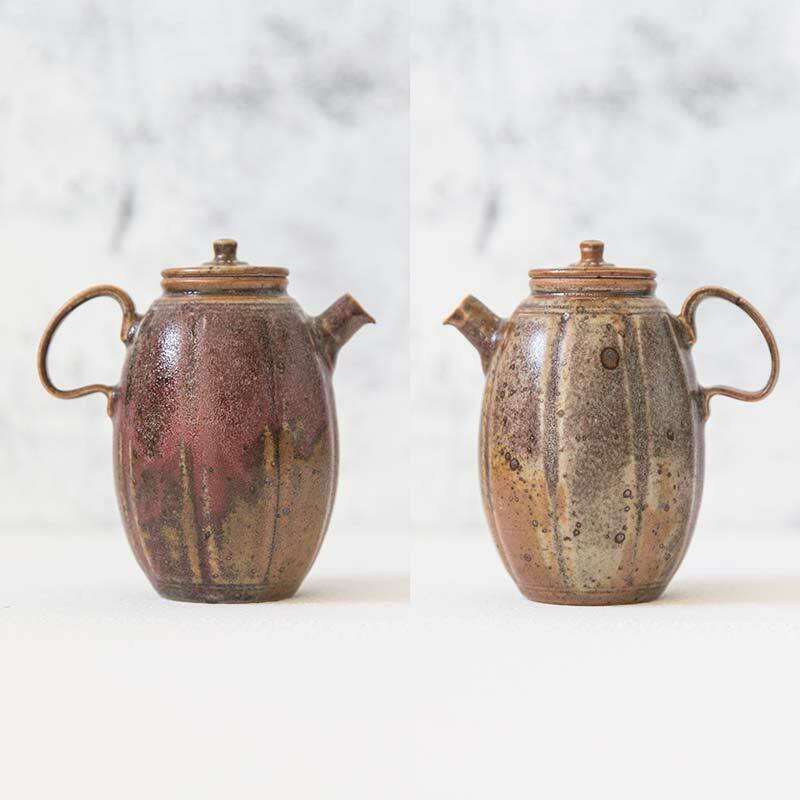 This teapot is also uniquely taller than most others from this series. 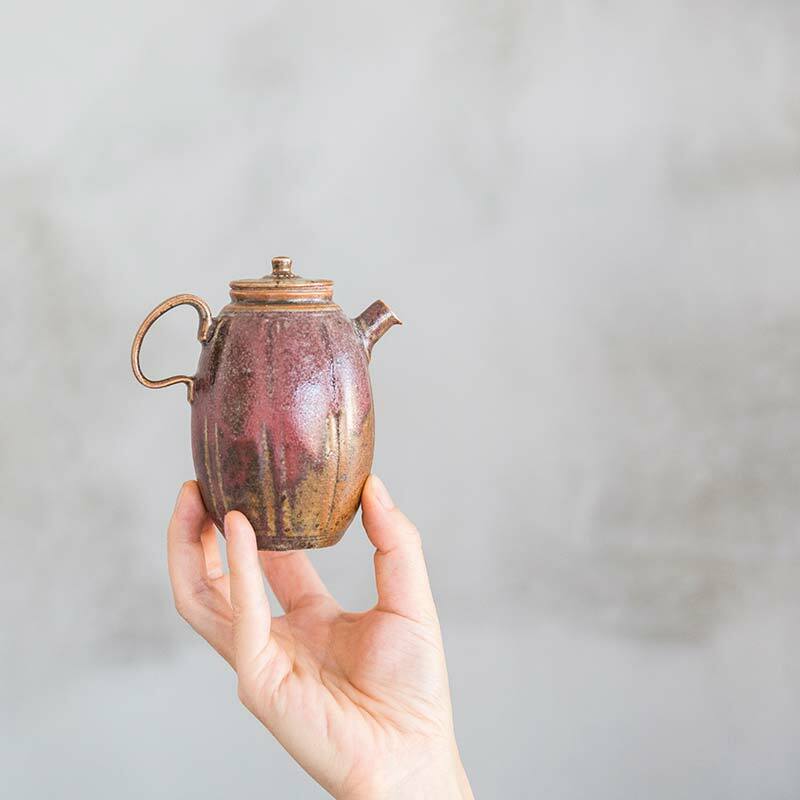 This teapot features a 21 hole ball filter and holds approximately 190ml of liquid.